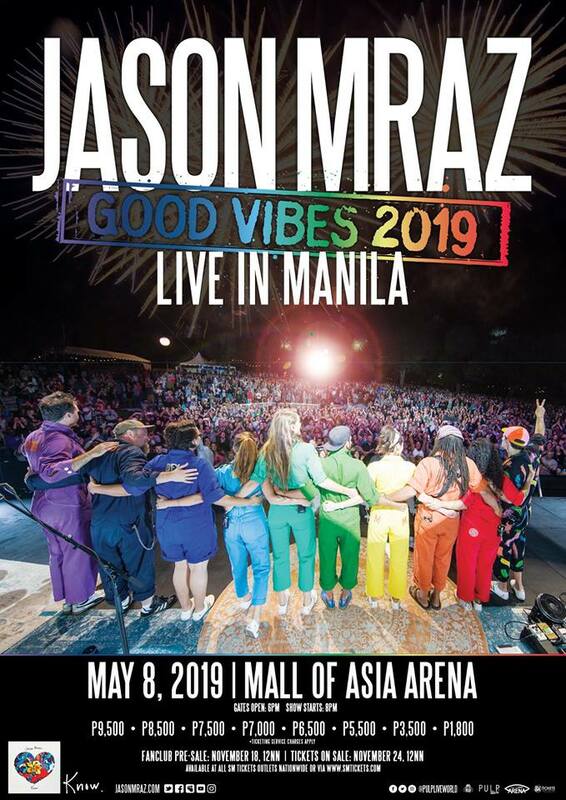 Following a recent one-off show at Singapore’s National Stadium (October 27th 2018), Mraz will kick off the whirlwind set of shows in the Philippine capital of Manila on May 8th, and will be bringing his brand of soulful folk-pop to Shanghai, Singapore, Hong Kong and Bangkok, rounding off the performances at the Taipei Arena on May 25th 2019. Jason Mraz has amassed a diverse fan-base around the globe, bringing his positive message and folk-pop sound to rapt audiences through his vibrant recordings, humorous live performances, and philanthropic efforts. ‘Have it All’, the first single lifted from Know. peaked at #1 on iTunes in various territories including Hong Kong, Taiwan, Singapore, Malaysia, Philippines, Indonesia, and Thailand. Taiwan had 8x #1 with Know. on release across all partners including Apple Music, iTunes and KKBox. Manila, catch the return of Mr. A-Z himself and get ready to revel in good vibes and positivity. 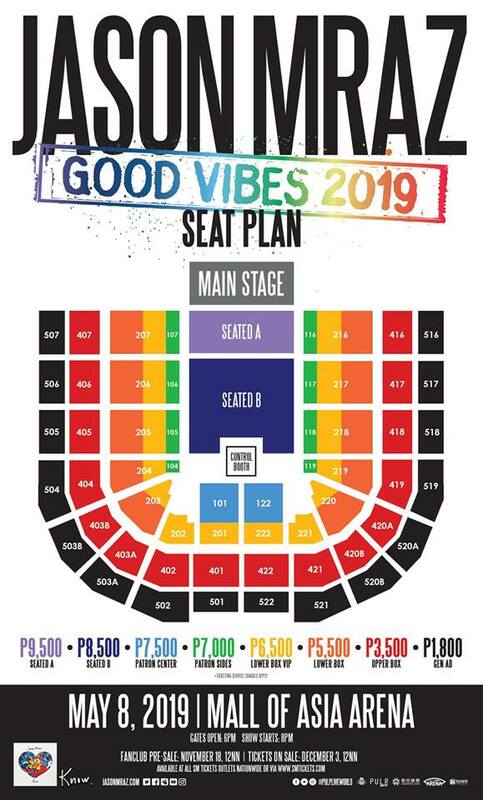 PULP Live World is proud to present JASON MRAZ Good Vibes 2019 Live in Manila, happening this May 8th, 2019, Wednesday, at the Mall of Asia Arena. Gates open at 6PM and the show starts promptly at 8PM. Tickets will be available starting November 24, 2018, 12NN through SM Tickets outlets nationwide or online (www.smtickets.com). Tickets are priced as follows: P9,500.00 (VIP Seated A); P8,500.00 (VIP Seated B); P7,500.00 (Patron Center); P7,000.00 (Patron Sides); P6,500.00 (Lower Box VIP); P5,500.00 (Lower Box); P3,500.00 (Upper Box); P1,800.00 (General Admission). Ticketing charges apply.